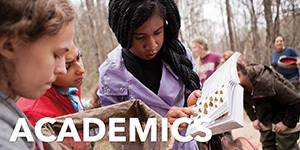 The Academic Advising and Planning Center (AAPC) prepares undergraduate students to navigate all aspects of academic planning by promoting an atmosphere that encourages self-exploration and resource utilization in support of academic success, as well as the timely and informed pursuit of an academic major. Incoming students are assigned to an academic advisor in AAPC. During their first academic year, students are required to meet with their assigned AAPC advisor and explore their interests, discuss course options, consider majors, plan for the future and discuss any academic concerns. 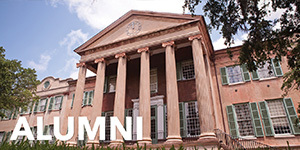 The Center for Student Learning (CSL) provides comprehensive academic support programs for College of Charleston students as they strive for excellence in learning, while promoting student leadership and development through peer education experiences. Annually, 45 percent of the student population uses CSL services. Walk -in tutoring labs are available to students for Accounting, Spanish, Math, Writing, Science, Business Statistics, Computer Science and Speaking. By appointment, individual tutoring is available in select courses, including but not limited to Foreign Languages other than Spanish, Economics, Psychology, and General Studies. A series of study skills workshops is offered each semester that covers various study skills topics to help students learn effective study techniques, in addition to one-on-one study skills appointments with a CSL staff member. 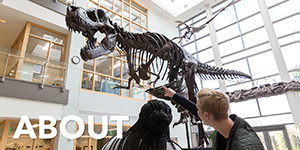 Supplemental Instruction (SI) is also available through study groups led by trained student leaders who schedule study sessions to help students in historically challenging introductory courses. If you are interested in global education and learning in new environments, and want your first semester of college to be challenging and involve studying abroad, then iCharleston is definitely the program for you! You'll be able to spend your first (fall) semester of college in one of these three locations: London, Dublin and Kelowna, British Columbia. Once you have successfully completed the requirements of the iCharleston program, you'll be invited to join the freshman class at the College for the spring semester, which starts in January. 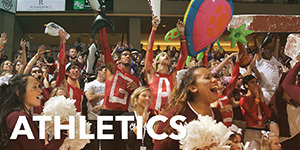 The First-Year Experience (FYE) at the College of Charleston is an academic program designed to integrate new students into the academic and cultural community of the College. All of the courses give new students an opportunity to work closely with top-level faculty, to meet other new students at the beginning of the school year, smooth their transition to college, and provide them with the skills that will help them succeed throughout their academic careers. 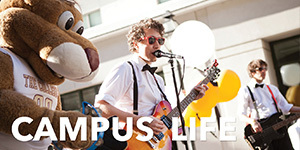 The First - Year Experience has been required since the Fall of 2011 for all incoming students with less than one year of college experience. Students may fulfill the FYE requirement by successfully completing a first year seminar (one course) or a learning community (two courses.) Each option includes a 50 minute weekly synthesis seminar (FYSS) led by a peer facilitator. The Center for Excellence in Peer Education prepares outstanding students to mentor, tutor, and assist their peers, as well as offering resources, services, and training opportunities to other college and university peer educator groups. The Center for Excellence in Peer Education trains First Year Experience peer facilitators, Center for Student Learning peer academic coaches, REACH mentors, Cougar Excursion executive board members, Greek leaders, honors peer facilitators, resident assistants, and Bonner leaders. There are currently more than 100 trained peer educators on campus. All peer educators trained at the Center take a two-credit course in the Department of Teacher Education. This course trains them to develop peer education skills through reading, discussion, and collaborative learning about leadership, mentoring,, and historical background of peer education. 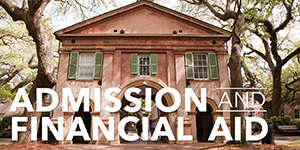 The REACH (Realizing Educational and Career Hopes) Program at the College of Charleston is a four-year, fully-inclusive certificate program for students with mild intellectual and/or developmental disabilities. The REACH Program promotes the advancement of knowledge and skill in the areas of academics, socialization, independent living, and career development, and has been nationally recognized for its commitment to full-inclusion and self-determination. The Veteran and Military Student Services Office conducts outreach activities to identify veteran and active military students. The Office designs support programming to promote academic success and social integration. In addition, the Director serves as an advocate within the institution for the interests and needs of veteran and military students, and serves as the point of contact for community partners and employers.